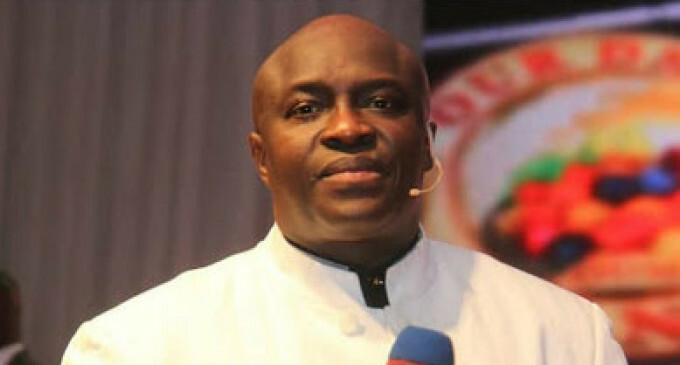 There is no doubt about the fact that Bishop Chris Kwakpovwe has been a blessing to all and sundry through his powerful sermons and most importantly, through the popular Christian devotional manual, “Our Daily Manna” which he authors every year. Born on 15th November 1961, Bishop Kwakpovwe is a Christian minister, trained pharmacist and author. He is the founder and senior pastor of Manna Prayer Mountain (MPM) Ministry Worldwide, headquartered in Lagos. The vibrant Minister of the gospel went into full gospel ministry in 1992, after a stint in pharmacy and preaching for nine years. He served as an assisting founding pastor of the Chapel of Praise Church. Chris Kwakpovwe became a Christian writer when he started authoring and publishing Our Daily Manna with readership in several countries in Africa and beyond. On 7 July 2013, he was ordained as Bishop by the United Pentecostal College of Bishops USA/Nigeria. He oversees an annual religious programme tagged World Anointing Night which was “streamed live in more than 200 countries” in February 2018. At 57, Kwakpovwe has written, authored and published “over 70 books”, including motivational Christian books, mini-books and devotionals. © 2018 Copyright The Capital. All Rights reserved.